Jonathan Bate studied at Cambridge and Harvard universities. Well known as a biographer, critic, broadcaster and scholar, he is Provost of Worcester College and Professor of English Literature at the University of Oxford. He has wide-ranging research interests in Shakespeare and Renaissance literature, Romanticism, biography and life-writing, ecocriticism, contemporary poetry and theatre history. He is a Fellow of both the British Academy and the Royal Society of Literature, as well as an Honorary Fellow of St Catharine's College, Cambridge. Before moving to Oxford in 2011, he was a Fellow of Trinity Hall, Cambridge, then King Alfred Professor of English Literature at the University of Liverpool, and then Professor of Shakespeare and Renaissance Literature at the University of Warwick. He is a Governor of the Royal Shakespeare Company, broadcasts regularly for the BBC, writes for the Guardian, Times, TLS and Sunday Telegraph, and has held visiting posts at Yale and UCLA. In 2006 he was awarded a CBE in the Queen's 80th Birthday Honours for his services to higher education. He is currently Vice-President (leading the Humanities) of the British Academy. His latest works include Being Shakespeare, a one-man play for Simon Callow, which toured nationally and played at the Edinburgh Festival Fringe prior to two West End runs at the Trafalgar Studios, followed by a transfer to New York and Chicago. He was consultant curator for the British Museum’s major Shakespeare exhibition for the 2012 Cultural Olympiad. He is married to the biographer Paula Byrne, and they have three children. Jonathan Bate has written and edited wide-ranging works of literary scholarship, criticism and biography, but it is the title of his first book, Shakespeare and the English Romantic Imagination (1986), that most neatly sums up his major subjects. He is not only a leading Shakespeare scholar, best known for The Genius of Shakespeare (1997), but is also a noted authority on Romanticism. In the latter category he has been more diverse, producing a novel inspired by critic William Hazlitt, The Cure for Love (1998), The Song of the Earth (2000) ("the first ecological reading of English Literature"), and a prize-winning biography of the poet John Clare published in 2003. Just as Bate’s critical writings have adopted a variety of approaches, they moved away from the purely academic, such as Shakespeare and Ovid (1993), towards books intended to appeal to a wider readership, such as Shakespeare: An Illustrated Stage History (1995), co-edited with Russell Jackson. He is also a broadcaster, currently (October 2005) presenting a BBC Radio 4 series, ‘Faking the Classics’. The first programme discussed famous Shakespeare forgeries, such as Vortigern in 1795, but the highlight was in hearing RSC actors performing ‘Shakespearian’ lines that, unknown to them, Bate had written himself. The culmination of his profound engagement with Shakespeare’s works, their performance, interpretation and historical context, is undoubtedly The Genius of Shakespeare. With great lucidity and knowledge, he explains how Shakespeare was moulded into the role of the national poet, and why "a sixteenth-century English dramatist of humble origins" became "the best-known and most admired author in the history of the world". The first section asked the question "Who is Shakespeare? ", detailing his origins, grammar school education, and activities as actor, playwright, and theatrical impresario. Bate remarks that "What is striking about the record left by his contemporaries is not the mystery but the mobility of Shakespeare". He then discusses the autobiographical interpretations that have been placed upon the sonnets ("I am projecting, as do all readers of these mesmerising, puzzling poems") and comes up with his own candidate for their ‘Dark Lady’: the wife of an Italian employee in the household of his early patron, the Earl of Southampton. Perhaps the most entertaining section incisively debunks the so-called authorship controversy, looking at the evidence for various aristocratic contenders that have been proposed over the years, and the objections raised by Shakespeare ‘heretics’ including Tolstoy, G.B. Shaw and Sigmund Freud. Bate is particularly good on the rise of ‘Bardolatry’ and the Shakespeare industry in the eighteenth century, attributing it to the entrepreneurial activities of the dominant actor-manager David Garrick, but also to English "nationalism and Francophobia". He points out, crucially, that the Romantic reform of the term "genius" was itself "a category invented in order to account for what was peculiar about Shakespeare". Bate carefully details the political ways in which Shakespeare’s plays are "endlessly translatable to cultures alien from the religious and moral world" in which they were written, and that a play like such asHamlet changes "as conceptions of consciousness change". He also notes how Shakespeare has inspired diverse artworks, such as Berlioz’s Romeo et Juliette, and the Caribbean writer Aime Cesaire’s Une Tempete, a re-writing of The Tempest. This leads onto Bate’s main conclusion, that Shakespeare’s work is itself "a triumph of evolution", able to mutate when the cultural environment itself changes. The Song of the Earth (2000) argues in its introduction for "the capacity of the writer to restore us to the earth". Among the writing and philosophy discussed in the book, the English Romantic tradition is the essential thread, traced from Wordsworth to Hardy, Edward Thomas and Ted Hughes, and set alongside European, "proto-Green" ideas from Rousseau and Heidegger. Bate comes up with some stimulating re-readings of well-known works, notably of Byron’s poem ‘Darkness’, which he shows was inspired by the climatic effects of the Tambora volcano of 1815. There are interesting claims for the effects of writers on the consciousness of later times, whether by travel writer W.H. Hudson and the founding of the RSPB, or by the establishment of a network of National Parks arising out of the late eighteenth-century vogue for ‘Picturesque’ tourism and Wordsworth’s conservation efforts. In the latter stages of the book, Bate widens his scope to look at multi-cultural international perspectives from Gary Snyder, Elizabeth Bishop and Les Murray, calling the latter "the major ecological poet currently writing in the English language". 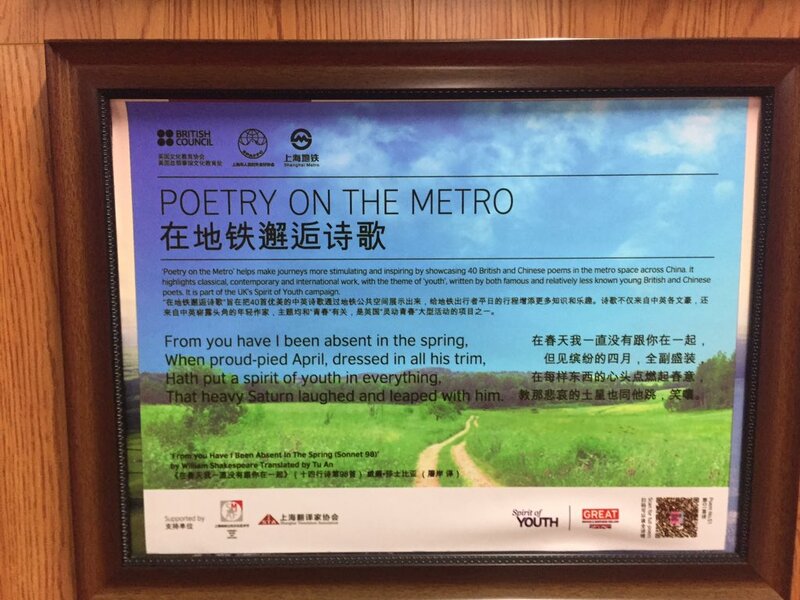 Poetry, Bate urges, can still be "the place where we save the earth". The Song of the Earth has a whole chapter on John Clare’s poetry, depicting it as "the record of his search for a home in the world" and as a species of early ecological protest. And at one point in The Genius of Shakespeare, Bate remarks on the "Anti-Stratfordians" who "cannot abide the thought of Shakespeare resembling an untutored Romantic genius of low origins like John Clare". Bate’s comprehensive biography does full justice to a previously undervalued figure, who is, he claims, "England’s greatest poet of childhood". Clare is also its most authentically working-class poet as well as the most prolific, producing a great deal of writing even during his latter years as an inmate of Northamptonshire Asylum. The book shows clearly that the traditional view of Clare as a perpetual "victim", of contemporary treatments for mental illness, or of "regularising" editors and publishers, is simplistic. And, he suggests, another facet of Clare’s importance is to have "reinvented the pastoral tradition in a mode of dirty realism". The narrative opens with a detailed reconstruction of Clare’s long walk home in July 1841 from an earlier asylum, and then moves back to the early life, closing the first half with his ‘discovery’ as a poet in late 1818. Having visited London, meeting luminaries such as Hazlitt and Charles Lamb, and gaining aristocratic patronage, "he could never fully return to his old life" – or fully support his family, once the vogue for his "peasant poetry" had passed. Bate’s detailed and sympathetic account of Clare’s mental distress, sexual frustration and financial difficulties, makes the poetry’s enduring quality even more remarkable. Bate modestly describes writing the book as "the most exciting and humbling adventure of my own writing life", His scholarly dedication to the works of Shakespeare, Clare and the Romantics, and his own diversity as a writer and critic, already constitutes a considerable achievement. "For as long as I can remember, I’ve been passionately committed to good writing and visions of the world that stretch the imagination. So I regard my several different jobs as all part of the same package – my writing comes from the same place as my teaching, lecturing, broadcasting, reviewing and work with the theatre. I began as an academic and literary critic, but since the mid 1990s I’ve been trying to reach a wider audience. The positive response of leading actors and theatre directors to my Shakespeare book means much more to me than the reviews from other academics. The development of literary theory, and the jargon that goes with it, seems to me to have greatly diminished the place of serious writing about literature in the public sphere – historians have been much better than critics at writing ‘crossover’ books for the trade market. I’m a great believer in horses for courses: an experimental novel felt like the right book in which to explore my favourite author, William Hazlitt, whereas John Clare demanded a biography. Shakespeare, meanwhile, does not submit to biographical treatment: the Genius book was a kind of ‘metabiography’ or indeed anti-biography. Literary biography does seem to be the genre that can reach both the professional audience and the general reader, and I love the way that the form requires a combination of archival research skills and novelistic narrative. But having said that, my favourite among my books – both emotionally and intellectually – is The Song of the Earth. I’m honoured that it is a book which so many contemporary poets have taken to heart."